The magic of a pomegranate. What’s for lunch honey? 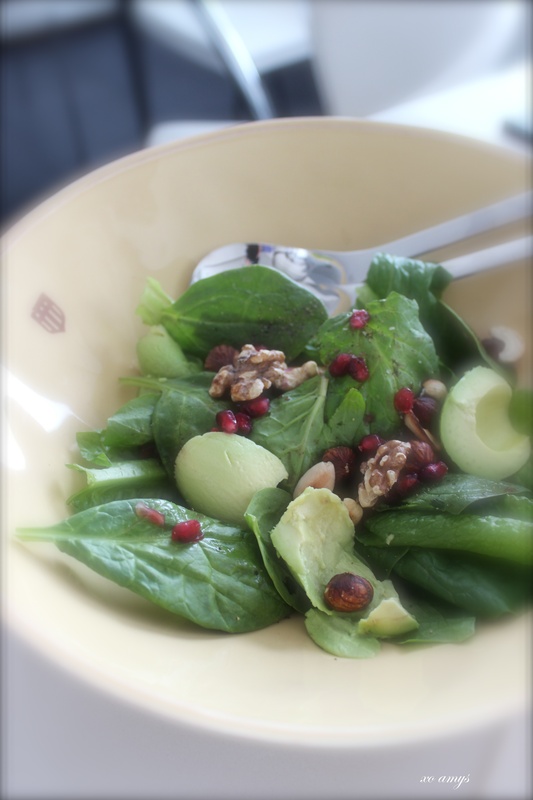 Spinach and green leaf salad with avocado and toasted nuts. I added pomegranate seeds and some of its juice with a pinch of salt/ black pepper as a dressing. 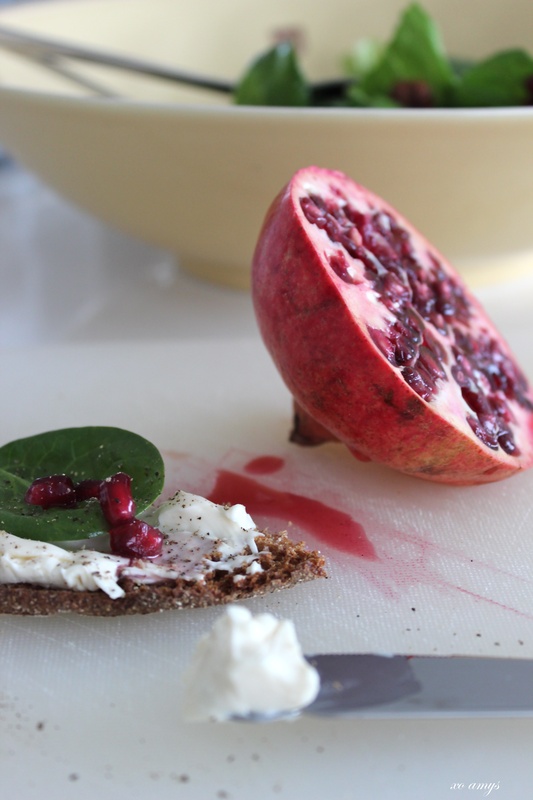 On the side, a crispy rye cracker with cream cheese, spinach and some more heavenly red pearls. 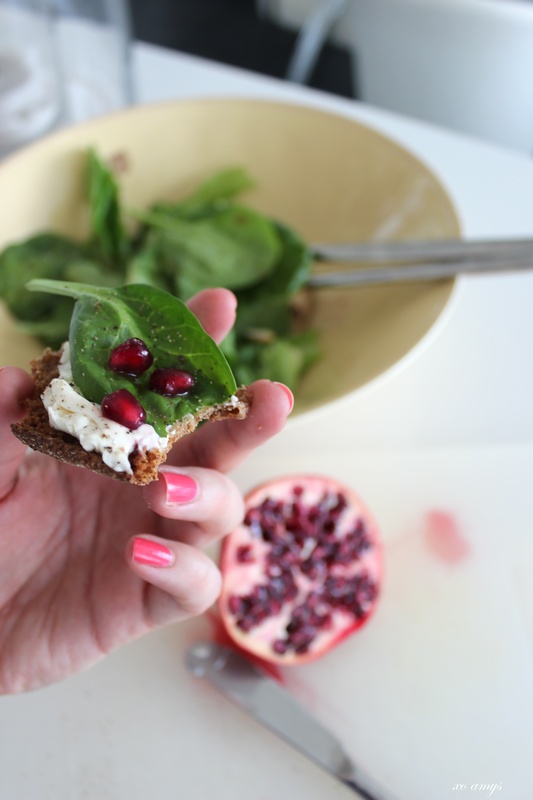 Sweet, succulent sour pearls popping in the mouth… I love pomegranate and its vivid bright colour and glorious taste. The are so refreshing and work wonderfully in salads and with various types of cheeses. It’s juice tastes fantastic and has as many health benefits as the meat itself. This fruit is filled with antioxidants, vitamin C and potassium and does wonders for the body. According to GHC it prevents blood clotting, keeps “bad” cholesterol in order and increases oxygen level to the heart. 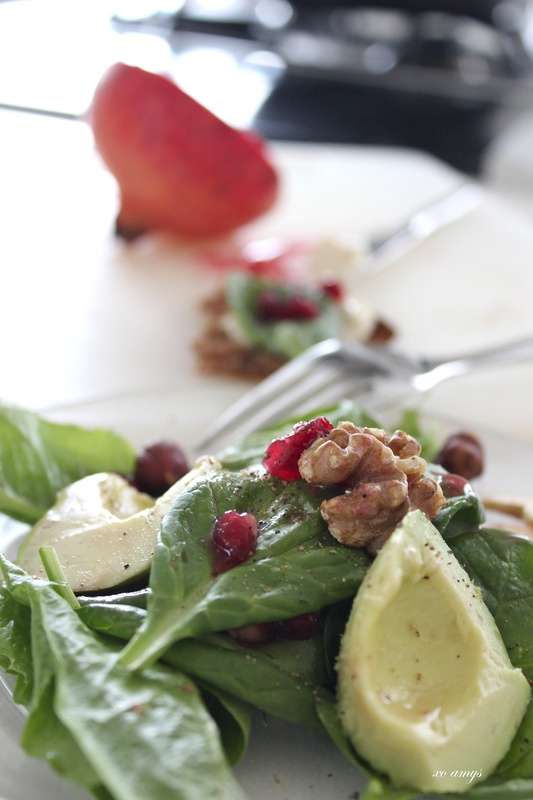 So, not only is a pomegranate filled with health benefits but more importantly it makes a great supplement to dishes. It adds fresh unique flavouring with its tiny seeds and juice and bring the dish alive with its powerful deep glossy red colour.